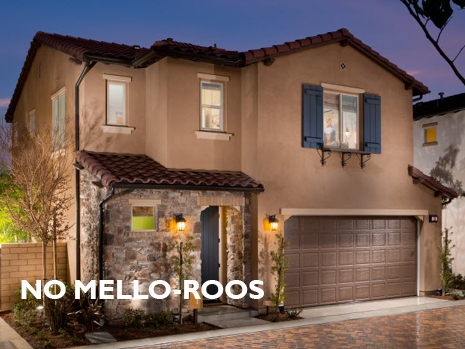 As part of their regular meeting on Wednesday, the Elk Grove City Council held a two-and-a-half hour workshop discussing the formation of community facilities districts, or more commonly known as Mello-Roos districts. During the meeting, Tom Johnsen from Fieldman Rolapp & Associates presented an exhaustive explanation of special Mello-Roos districts that California governmental agencies can establish. Born in the aftermath of Proposition 13, Mello-Roos districts are formed to fund certain infrastructure needs not covered by regular property taxes. After the presentation and during public comment from several individuals representing residential real estate interests, it appeared as though the city staff has been in talks with developers regarding the possibility of establishment of Mello-Roos districts in the city's last large swath of undeveloped land, the so-called Southeast Policy Area (SEPA). With the only one exception, the developer interests opposed the establishment of Mello-Roos districts in the SEPA. The opposition was summed up in a couple of sentences by one of the individuals speaking during public comment, Jim Gillum of Gillum Consulting. "To start off, I like to answer the question of 'will I recommend my clients in SEPA subscribe to a Mello-Roos district,'" Gillum said. "Based upon the current situation, I would not." Gillum and others from Taylor Morrison, Richland Communities and Christo Bardis said establishment of Mello-Roos districts negativity affect marketability of new homes, and because of the repayment time of bonds issued to the initial fund of infrastructure, lower returns for developers. The discussion during the workshop between the developers, city staff and the city council indicates there have been other non-council meeting conversations on the establishment of Mello-Roos prior to this workshop. The developers made it clear - they do not want the special districts established to pay for infrastructure. Of course none of these occurs in a vacuum. Could the city be discussing the establishment of Mello Roos districts in the SEPA as a funding mechanism because development fees have been lowered to the point they are unable to pay for even basic infrastructure needs? The fact the city is now discussing the establishment of blanket Mello-Roos districts in SEPA indicates they are contemplating exactly how they will fund the most basic needs. For the city council, this discussion will test their political courage. Will they cave into the demands of the developers given organizations like Taylor Morrison and individuals like Christo Bardis, not to mention the various real estate advocacy groups, have long been generous contributors to their campaigns? If they give in and do not form Mello Roos districts, or at least scale them back, how will Elk Grove fund these most basic needs of any new community? Let's hope they do not come hat-in-hand to the rest of us in the form of a higher sales taxes or a deterioration of basic city services. The current taxpayers of Elk Grove shouldn't be on the hook for these costs. Big decisions await the Elk Grove City Council. It looks like the buck stops here. Perhaps the council is just now reaching the conclusion many posters to this site have been warning of for years now; this city does not even have the money to provide basic infrastructure needs. "The developers made it clear - they do not want the special districts established to pay for infrastructure. Of course none of this occurs in a vacuum. Could the city be discussing the establishment of Mello Roos districts in the SEPA as a funding mechanism because development fees have been lowered to the point they are unable to pay for even basic infrastructure needs?" Guess who's likely to lose this battle? Better get your wallets out folks. Perhaps this will be the wake-up call that will finally wake up the sleeping voters. It is a shame this special council meeting was called at the last minute when most citizens were at work. The presentation by Tom Johnsen was excellent. The voters of the city of Elk Grove should be able to ask questions themselves. I suggested another meeting whereby Mr. Johnsen is brought back, with enough notice, so we citizens can hear another presentation and ask questions. The developers who spoke appeared to be very unhappy and most of the Council members got the message. We heard some intelligent questions from the dais; others just gave lip service. Those of us actively involved are looking out for our future neighbors and want them to be able to afford a new home without being saddled with thousands of extra dollars in CFDs for unspecified uses. The CFD scale for homeowners in Laguna Ridge is staggering. And please tell me how a new home which backs up directly to the proposed aquatics center will raise a homeowner’s value? Mr. Johnsen made it clear regarding CFDs when he said, "Willingness and ability!" And total disclosure! And if not, I will take the lead from Shardnado 3, "Oh Hell No!" Keep Developers happy = Continue Ponzi scheme of requiring new development to pay for previous development impacts. Why are all those new houses and high density low income housing projects being built during the fourth year of a severe drought? Now we can only water our lawn once a week and use our drip system three days per week. We suffer just so those developers can build more homes and high density low income housing projects that use more of our precious water. Real forward thinking there Elk Grove. This place is going to look like a browned out desert wasteland with those water restrictions. Elk Grove, land of the brown lawn and dead trees. Elk Grove Thirsty, NOT Elk Grove Thriving! Greedy developers are shafting the buyers by not paying an adequate level of development fees and using Mello Roos to pay for infrastructure. Wait until the SheepLe,... suckers, ...I mean sap new home buyers get their first tax bill. "And please tell me how a new home which backs up directly to the proposed aquatics center will raise a homeowner’s value? " It will decrease the homeowner's value. Who wants to hear screaming rug rats and parents making noise on a warm summer evening? Who wants all the cheapskates visting the world class water scream park who will park in the neighborhoods and leave trash, urinate on laws, drive around like maniacs and case houses for future burglaries. Building an aquatic center in a residential neighborhood is one of the dumbest ideas that I have heard in a long time. Can they build an indoor shooting range near all the executive housing in the SEPA. At least the bangers who will plague the 2,000 plus units of high density low income housing projects will have a place to practice without having to leave the SEPA.